One-gallon, glass container. 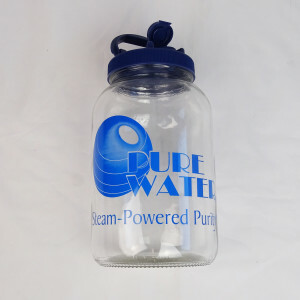 This handy dispenser comes with a handle and pour-through lid, and is used to collect the distilled water. It’s a perfect fit in your refrigerator.